Star Sightings at the Julian StarFest This Weekend! Aim for the stars at Julian StarFest! 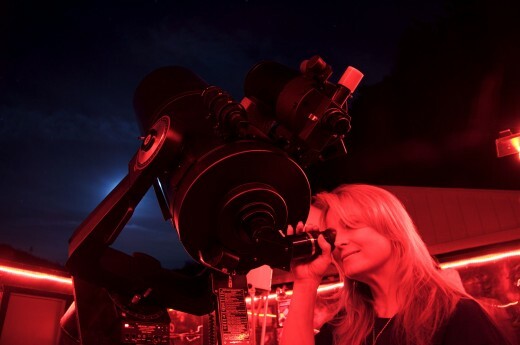 Get ready to space out (I couldn’t resist 😉 ) this weekend at Julian StarFest, the second largest gathering of professional and amateur astronomers and stargazers in California. Visitors are in for some out-of-this-world encounters on August 16-19 as they peer through telescopes for an exciting glimpse of our galaxy and beyond. Guests are welcome to bring their own telescopes too. Experts will be on hand to answer questions about the celestial opportunities and how to position their telescopes for optimal viewing. 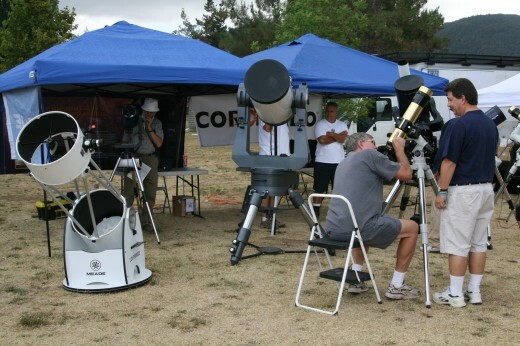 Astronomy swap meet at Julian StarFest. There will be exhibition areas, galactic guest speakers and a large swap meet selling astronomy equipment. Where, do you ask, can visitors count their lucky stars at this four-day festival? On the grounds of Menghini Winery, located just three miles north of Julian in San Diego’s scenic East County. Visit for the day or camp out at the winery for all three nights! Julian StarFest admission is free for kids 12 and under! 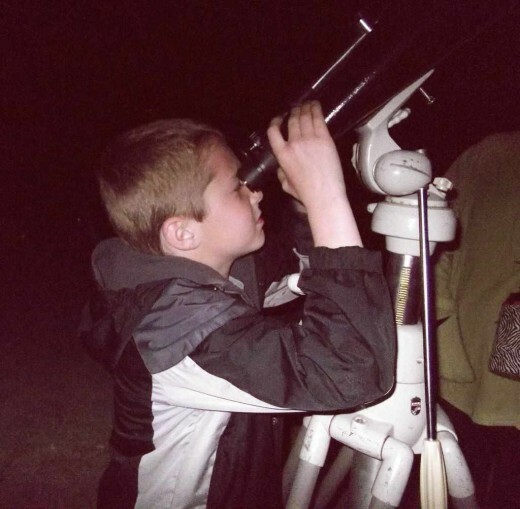 There’s also a free Star Party on Saturday night, August 18 – the largest public star party on the West Coast (over 1,000 attendees!). Simply arrive between 7:00 and 9:00 PM and you can enter the StarFest grounds for free. 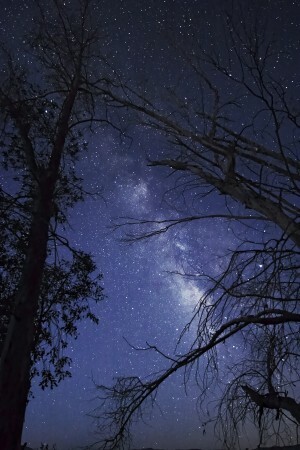 Take a star tour of the heavens using numerous telescopes set up in the viewing area. Organizers suggest bringing a red light flashlight (if you don’t have one, red translucent film will be provided to cover a white light flashlight). 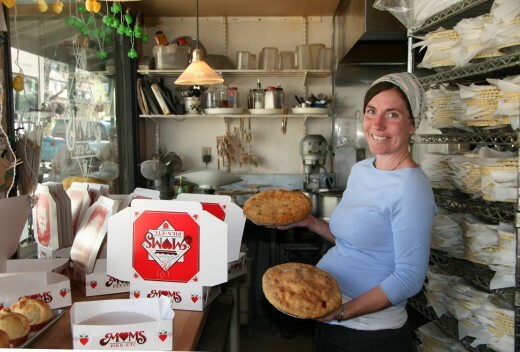 While in Julian be sure to sample the apple pies! While you’re at StarFest, be sure to check out the historic Gold Rush mining town of Julian. The town’s famous apple pies and refreshing ciders are just down the road! And for the most adventurous, who feel like braving triple digit temps, take a jaunt down the summit to Borrego Springs to discover the beauty of the clear desert skies at night. Surrounded by the vast and lightless Anza-Borrego Desert State Park, Borrego Springs is one of only two certified Dark Sky Communities in the world; it is also designated by USA Today as one of the top 10 stargazing locations in the United States. This entry was posted in San Diego Events and tagged astronomy, Borrego Springs, east county, insider tips, Julian, starfest, stargazing, stars by Robert Arends. Bookmark the permalink.